Ultra long life DC energy saving motor. Patented instant electric opening shutter. Controlled with integral power supply with pull cord override switch and adjustable humidity sensor (60-95% RH). 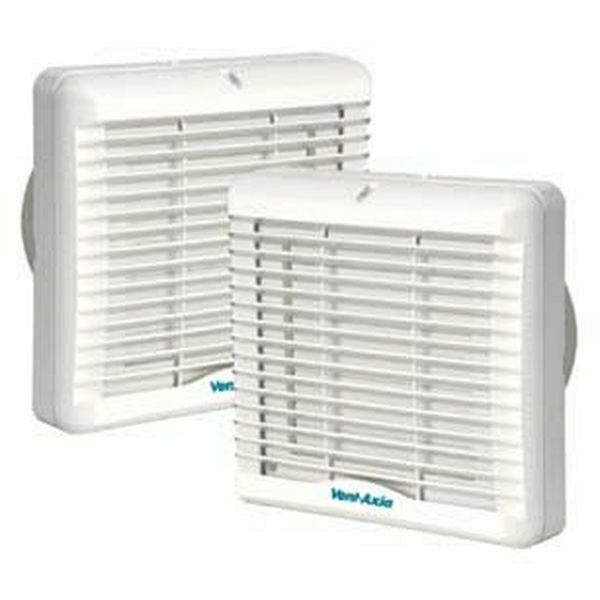 Vent-Axia Lo-Carbon VA150 fans feature Lo-Carbon long life DC energy saving motors that last up to 5 times longer than conventional motors, whilst delivering up to 60% energy savings. The extended life of Lo-Carbon fans is due to the use of a new generation of high quality electronically controlled ball-bearing motors especially developed for this range. The motors are perfectly designed for the wet conditions of utility rooms and kitchens, extracting stale, moisture-laden air quietly and efficiently. 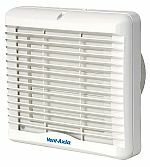 The Vent-Axia Lo-Carbon VA150 range is fitted with a motorised shutter mechanism that uses no extra power in operation or off. The Lo-Carbon VA150 range is suitable for installation in panels, walls or windows using the kits available. 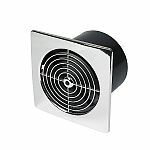 Lo-Carbon fans are quick and simple to fit using reversible grommets and easy-wire terminals, and are suitable for wall or ceiling mounting at any angle. 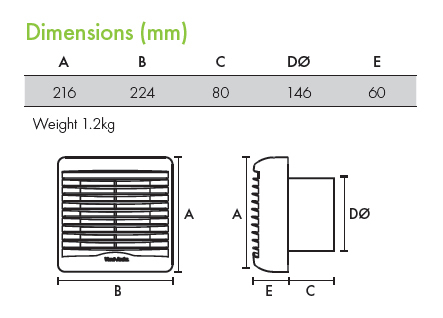 150mm telescopic wall kits are available with a white or brown outside grille. The kit is supplied with a telescopic wall sleeve to fit walls 225-360mm thick. Hole diameter 152mm. Window fitting kits are available for use with all Lo-Carbon 150mm models through single or double glazed windows up to 40mm thick. Hole diameter 152mm.